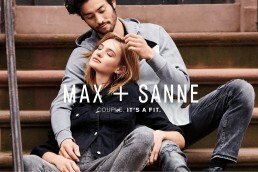 Sanne Vloet and Max Ando have to be one of the cutest couples of all time—and no, that’s not just because they’re both professional models and make everyday jeans look like a revelation. Sit down with them for five minutes and you’ll learn that their relationship is all kinds of #goals. They travel the world together, work together, and learn from each other constantly. For fun they throw parties, cook meals, and walk around New York City in the middle of the night. Seriously: someone make a rom-com about these two! In fact, the movie can start where their relationship did: at a rooftop party in New York City. 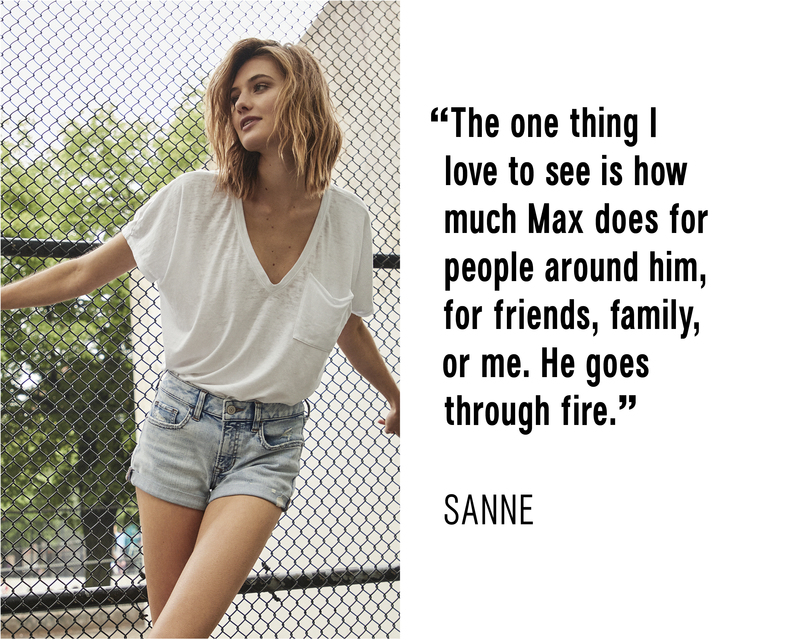 Max and Sanne met in a large group and both felt an immediate spark. Later, they just so happened to bump into each other in the elevator as Sanne was about to leave the party and Max was just returning. Max took a chance and asked Sanne to have a drink with him at the downstairs bar, Sanne took a chance and said yes, and the rest is history—and flirty text messages. For some denim and relationship inspiration all wrapped up into one gorgeous package, check out our interview with the dynamic duo below. Consider it a trailer for the box-office hit to come.